Digital Life launched the Diablo III Quest in conjunction with the 2012 worldwide release of Diablo III, a popular action role-playing game. Gametize powered the quest, available on the web and Digital Life’s Facebook page. The quest channelled the infectious enthusiasm of Diablo fans to real life through real-world challenges. It also piqued the interest of their friends and even non-fans. The Diablo III Quest game comprised of 6 themed challenges that required participants to complete activities, with each challenge based on a character in the game. Participants earned points sharing photos and posting descriptions of their experiences of their submission. Participants earned additional points through the number of “likes” their submissions received. Every like gave the players an additional 5 points each – encouraging participants to post submissions and get their friends to vote! The game ran for 2 weeks in tandem with the release of Digital Life’s special Diablo III issue. 760+ people took part in the game over 12 days, with an average of 50 new participants per day. A photo from the top player garnered 368 unique votes! The top player of the game walked away with more than $2,000 worth of goodies, including a Dell Alienware PC set. Video games can be enjoyed in real life too! 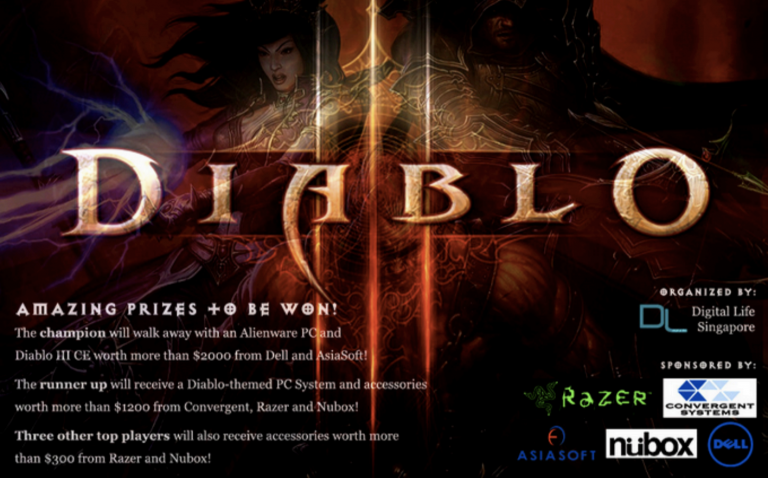 There was significant enthusiasm displayed by Diablo III fans who enjoyed participating in this real-world quest. The quest also brought together fellow Diablo III fans, many of who forged new friendships during the competition, and also introduced more people to the magical world of Diablo III.